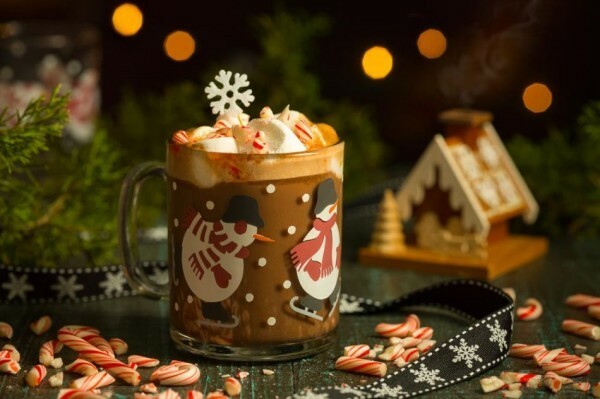 Hot Chocolate is one of the most popular and soothing winter drinks, perfect for a cozy evening inside by the fire. One thing about chocolate we’ve found is how well it goes with orange so we’ve started adding a little grand marnier liqueur to make it extra special. When we really want a treat, we add a splash of Goldschläger too which is a cinnamon schnapps with tiny flakes of gold floating in it. Snuggling up to a cinnamon and orange laced hot chocolate is one of our favorite ways to relax after hours of shoveling snow or editing photos. Spoiler alert – you’re going to want more than one cup so be sure to make a double batch. Make 1 cup of your favorite hot chocolate recipe. Stir in the Grand Marnier and Goldschläger. Top with marshmallows and crushed candy canes. We are internationally published interior, food, drink and travel photographers living in beautiful Bucks County, Pennsylvania.